As part of their everyday work bricklayers must be able to interpret technical documents, understand the properties of various mortars/building materials and understand the basics of health and safety on the site. This CD-Rom contains tutor material that is matched up to Malcolm Thorpe’s textbook of the same name, providing materials for use in the classroom or on the college virtual learning environment. 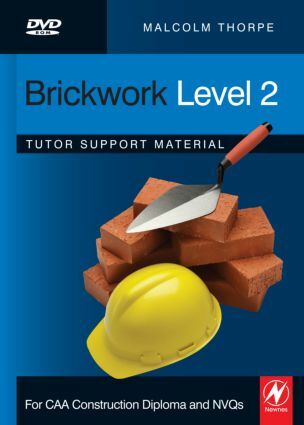 It will be a big help all those responsible for running a brickwork course, whether new or experienced. The lesson plans and Powerpoint presentations will save time and help integrate teaching in the classroom with the textbook. The multiple-choice questions and test examples with model answers will free up time for teaching.